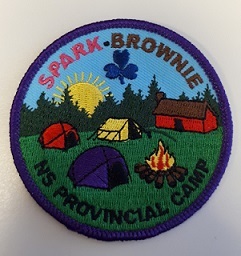 Would your Spark or Brownie be interested in attending a fun residential and tenting camping experience with other Sparks and Brownies from all over Nova Scotia? All applications will be placed into a lottery selection process as space is limited and we're expecting a large number of girls to apply to this popular event. Notification of status of attendance will be sent via email by June 10th 2019. Cash,**NEW** Debit at the Provincial Office. Visa / MasterCard-** NEW** - once order form has been sent, you can call the office to provide payment information. INTERESTED IN A STAFF POSITION! Consider joining in the fun to provide an amazing camping experience for our Sparks and Brownies in Nova Scotia. We are looking for Guiders to take on staff roles for this event, so please consider this volunteer opportunity and send in an application.